Decorative tape, or washi tape, has been very popular recently and I’ve really been loving it! I thought I’d share a few ways in which I’ve used decorative tape, and how it can really brighten any boring object and make it look fancy! 1. Using it to decorate a scrapbook – This year I decided I’d start a scrapbook to keep all my memories in one place. I’ve stuck photos down using my decorative tape, which just makes it look that extra bit cute! 2. Decorating a jar – Decorative tape is perfect for wrapping around a plain glass jar to brighten it up! If you have an old jam jar or even just a clear acrylic jar you can spice it up a bit by using some of this. Its great because you can make it unique so nobody else will have the same. 3. Sticking posters/notes onto your wall – Now its coming up to exams I may use this idea, sticking notes onto your walls! If you have any revision notes and you want to make them look that little bit nicer, use decorative tape! You can even stick posters up using it to make it look that little bit prettier. 4. Decorate your pencils – School supplies are never very exciting, so to brighten up your pencil case why not wrap some decorative tape around some pencils? Get different patterns and colours and get wrapping. 5. Decorate your phone charger – This is one of my favourites, this is such a cute idea! This not only makes it look pretty, but your charger differentiates from everybody elses! This will help you from loosing it, and it’ll look unique! 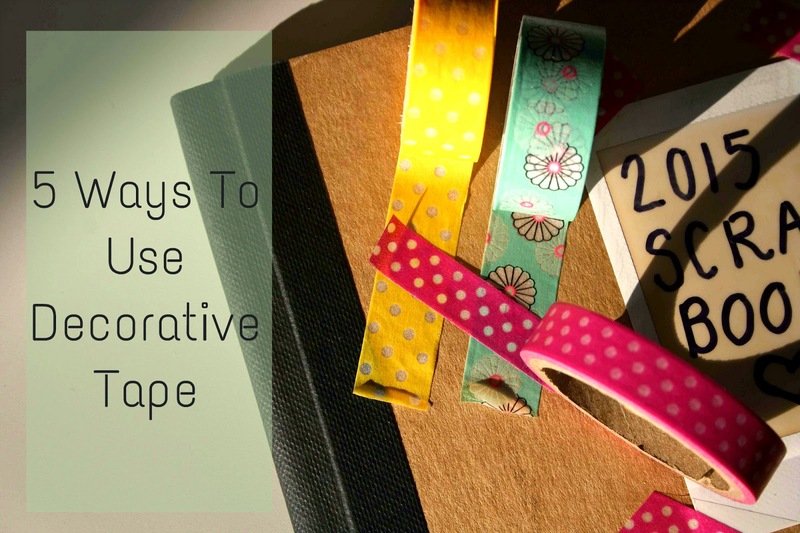 How have you used decorative tape?